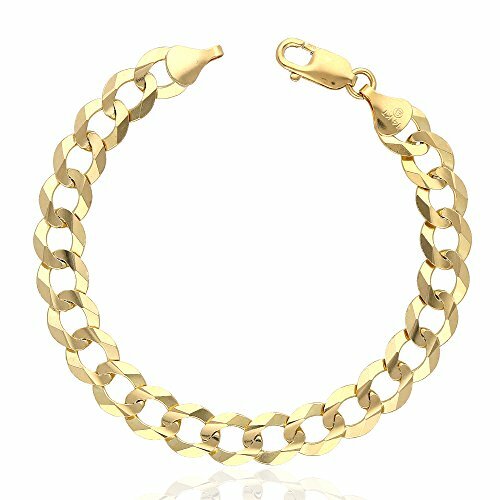 This 10mm wide cuban curb bracelet is crafted in 14k fully solid yellow gold and measures 8.5 inches in length. The bracelet is carefully secured with lobster clasp lock. The high polish finish gives it additional shine.